Admission to the Alberta Wind Symphony is made by music teacher/conductor recommendation. Teachers and conductors should submit a Recommendation Rubric and Nomination Form online for each student they plan to recommend. In addition, music teachers and conductors are asked to send home the Instrumentalist Questionnaire to be completed by the recommended instrumentalist and their parents. The questionnaire is to be returned to the music teacher/conductor and submitted along with the Recommendation Rubric and Nomination Form by attaching a scanned copy to the online form, or emailing or faxing the questionnaire to the ABA office. Teachers/Conductors may select up to 4 nominees for the ensemble from each band they direct. Each nomination must be accompanied by the Instrumentalist Questionnaire before it can be considered by the selection committee. The deadline for submitting recommendations is May 3, 2019. 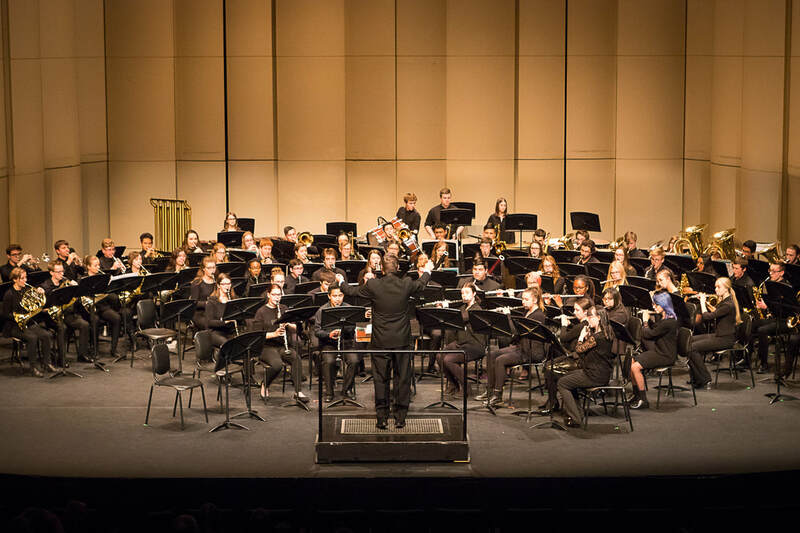 Teachers/conductors are invited to develop a list of 4 band members who demonstrate excellence in leadership, musicality, and engagement in their home band program and who they feel would benefit most from the intensive honour band experience. Teachers/conductors will distribute the Instrumentalist Questionnaire Forms (provided below as a downloaded form) to the 4 ensemble members selected for recommendation. Instrumentalists and their parents/guardians will complete the Instrumentalist Questionnaire and return it to their teacher/conductor. Using their knowledge of the ensemble members and the information provided on the Instrumentalist Questionnaires, teachers/conductors complete a Recommendation Rubric (the online form) for each recommended band member and rank each ensemble member in priority order for acceptance to the Alberta Wind Symphony. The Alberta Band Association Alberta Wind Symphony Selection Committee and staff will collate the forms and establish the roster for the band. Teachers/conductors will be advised as to which of their recommended band members have been accepted into the Alberta Wind Symphony. Acceptance letters and registration forms and encouraging letters of non-acceptance will be sent directly to recommended instrumentalists by the Alberta Band Association office. Upon the receipt of registration forms and fees, music will be sent directly to the accepted instrumentalists.